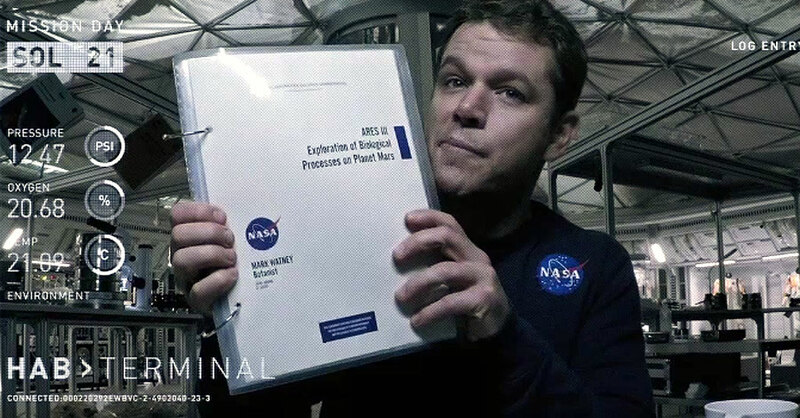 After a hectic last couple of weeks of assignment deadlines, group presentations, and co-op applications I’ve finally found some time to highlight the amazing film adaptation of The Martian. I have also managed to carve out some time this month to relieve some stress by hitting the theatre for both Spectre and Mockingjay-Part 2, so keep your eyes peeled for a few more reviews coming to CCC in the next few weeks! So, without further adieu check out the following overview, book comparison, and a bonus clip to learn a little more about and/or reminisce on this exceptional film. 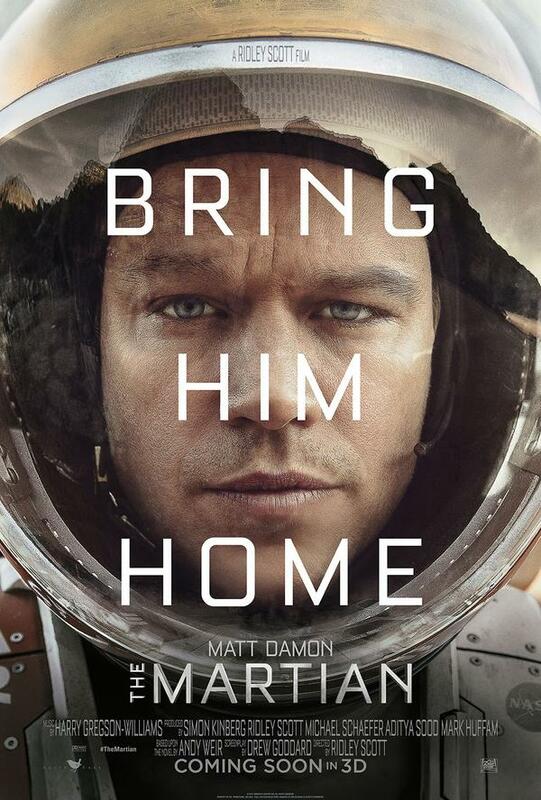 As previously mentioned in the October edition of “In Theatres”, The Martian is a science fiction film directed by Ridley Scott (Gladiator director), featuring Matt Damon in the main role of astronaut Mark Watney who was left behind on Mars during a harsh evacuation. The adaptation of the storyline from Andy Weir’s 2011 novel is impressive due to the performances by an exceptional ensemble cast. As a result, this film is perfect for those who have read the book, as well as anyone looking for a dramatic adventure story. 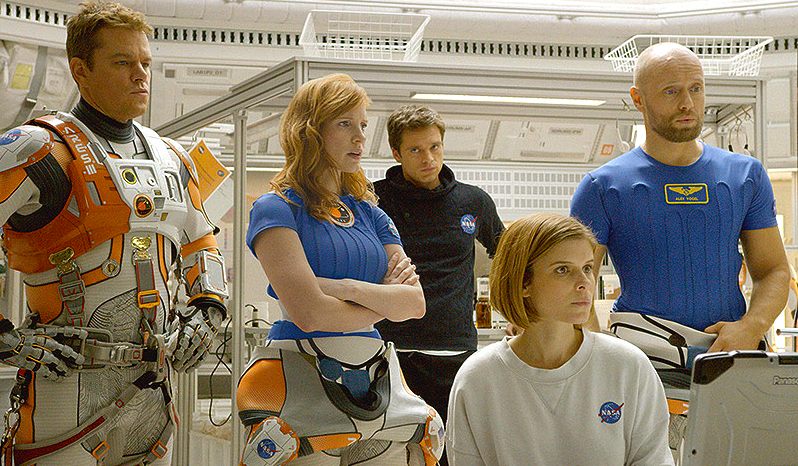 The film begins as the Ares III crew of Commander Melissa Lewis (Jessica Chastain), Rick Martinez (Michael Pena), Beth Johanssen (Kate Mara), Chris Beck (Sebastian Stan), Alex Vogel (Aksel Hennie), and Mark Watney are participating in their designated duties of their Mars mission. The crew have been on Mars for 18 of 31 Martian sols (days) when an intense Martian storm hits and threatens to destroy the artificial home, the Hab, of their month long mission. Even though it would be cutting their mission short, Commander Lewis orders an immediate evacuation for the safety of her team. During the evacuation Watney is struck by a detached satellite and has his biomonitor damaged in the process. 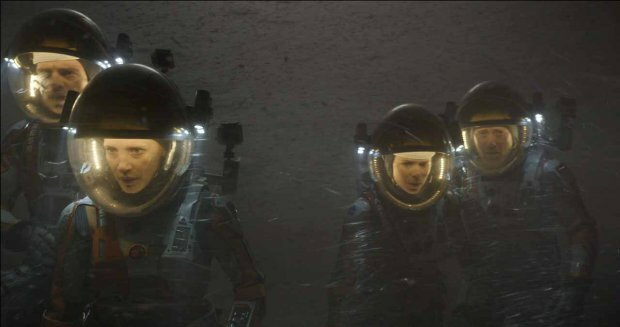 Commander Lewis demands the rest of the team to reach the safety of the launch vehicle and after several crucial minutes of searching she is forced to leave Watney behind ,and escape the Martian storm with her crewmates. Watney awakes to the sound of his low-oxygen sensor going off and slowly makes his way back to the Hab. During the storm he was impaled in the stomach by an antenna, but the severely cold temperature helped to seal his blood and ended up saving his life. However, after facing hard facts Watney establishes that the only way he will make it home safe is to survive until the Ares IV crew arrives in four years time. Unfortunately, after crunching the numbers, he concludes that even if he rations all of the remaining food packets he will only have enough food for 300 sols. However, he remembers that NASA sentimentally left the Ares III crew a Thanksgiving meal that contained potatoes. 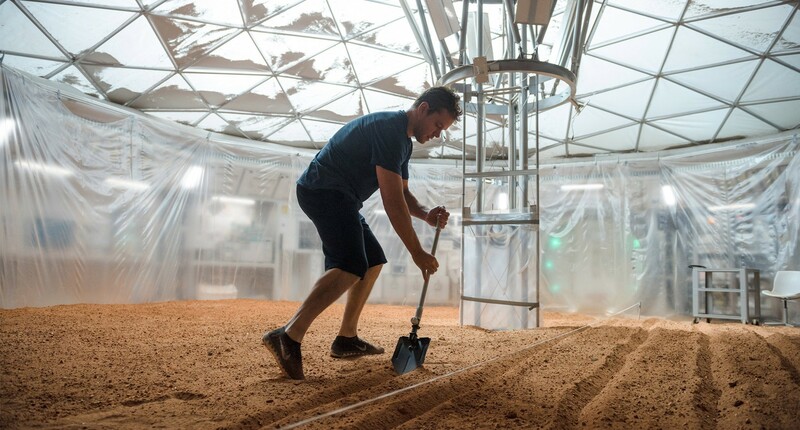 As Watney is the crew engineer and botanist he miraculously creates a make shift farm in the centre of the Hab. He uses soil fertilized by human waste as well as creates water by extracting hydrogen from leftover rocket fuel that he, after a minor explosion, figures out how to oxidize by slowly burning it. While Watney is busy modifying the Mars rover to fit new specifications for the long journey to the Ares IV location, back on Earth the news that he is still alive is finally beginning to unravel. 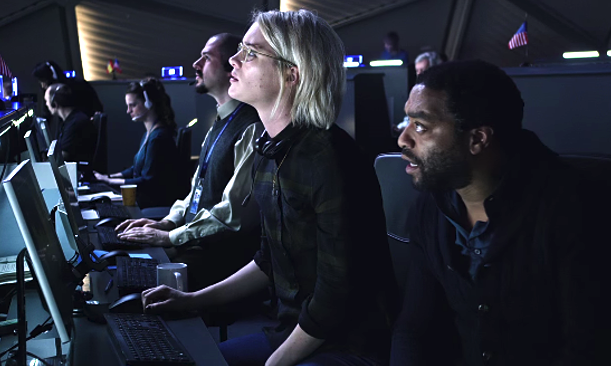 Mars Mission Director Vincent Kapoor (Chiwetel Ejiofor) and Satellite Planner Mindy Park (Mackenzie Davis) review satellite photos that indicate that Watney is indeed alive. NASA makes several attempts to communicate with Watney but with the communications system destroyed in the storm there is no way to get the signal to him. Until … Watney comes up with the genius plan to go and retrieve the 1997 Pathfinder probe. This probe contains a rotating camera that can be used as a rudimentary form of communication. After a long trip to the Pathfinder site and back, he attempts his first form of communication with NASA and it is a success! 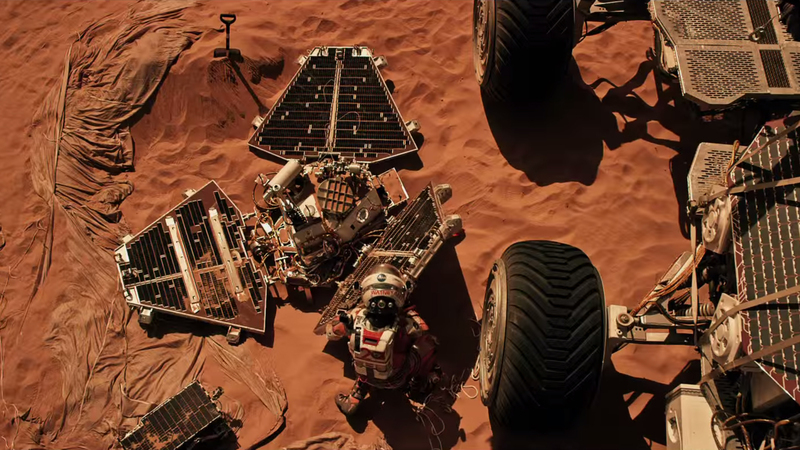 Within days, the NASA network of minds establish a way of upgrading their communication with Watney from a rotating camera to typed text messaging through the rover’s IT system. 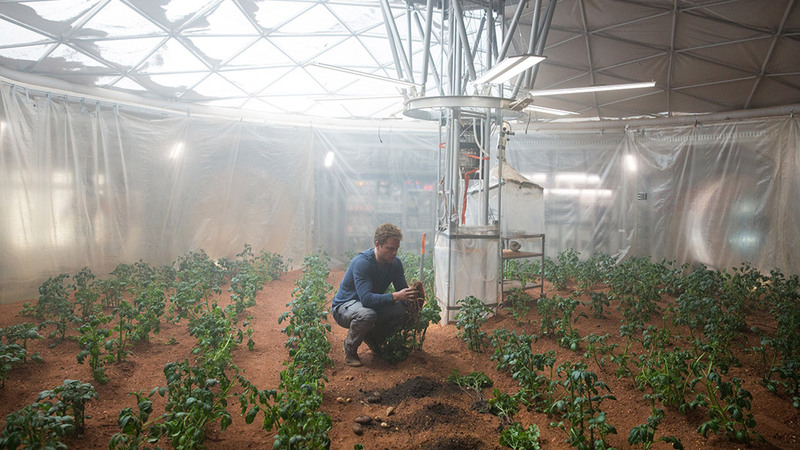 For once, things finally seem to be going according to plan as Watney continues to tend his crops. Back on Earth, Hermes Flight Director Mitch Henderson (Sean Bean) and Jet Propulsion Laboratory (JPL) Director Bruce Ng cook up a plan to send a space probe to Mars with a re-supply for Watney to survive until the Ares IV crew arrives. 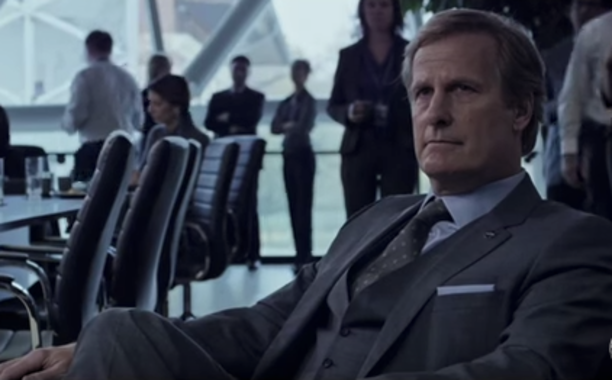 When NASA Director Teddy Sanders (Jeff Daniels) first heard Watney was alive he issued an order that no one was to tell the Ares III crew. However, now that there is a sure plan in place to get Watney home he authorizes Henderson to finally update the crew. The optimism backfires as disaster strikes both on Earth and on Mars. On Earth, Sanders authorizes the order for the safety inspections to be skipped in order to meet the launch timeline, which results in the probe’s explosion only moments after it launches. On Mars, Watney faces his own challenge as the Hab’s airlock explosively decompresses, due to the doubling of the maximum amount of sols the shelter was supposed to withstand. As a result, Watney’s chances of survival are severely decreased as his potatoes are ruined by the temperature and his re-supply kit literally burned to pieces. I’m going to leave the overview there as I do not want to give away the second half of the book/film to anyone who has not read or seen it yet and only wanted a taste of what’s to come. I thoroughly enjoyed both the book and the film, so I wanted to take a little extra time to talk about what I thought of the adaptation. Therefore, the next section is for those who HAVE READ the book OR HAVE SEEN THE FILM as it contains SEVERAL SPOILERS! First off, Matt Damon truly became Mark Watney with his exceptional portray of the character’s sarcastic humour and positive spirit. But, I also want to say hats off to the Casting Director as each and every actor fit perfectly with how I imagined each character to be. 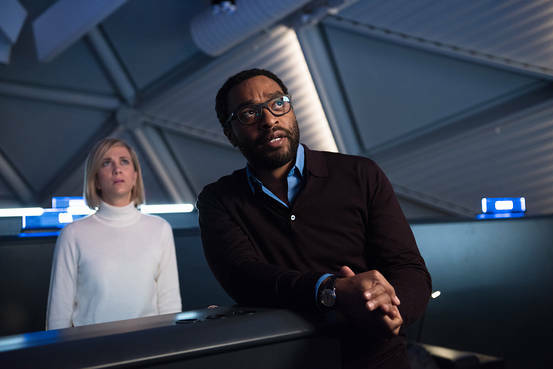 For instance, the performances of Jessica Chastain as the brave and straight-laced Commander Lewis, Jeff Daniels as the no-nonsense leader Teddy Sanders and Donald Glover as the some-what manic genius Rich Purnell were all exceptional. The high level of acting given from this well-rounded cast allowed for an ease in transfer of locations from Mars, to Earth, to Hermes, and back again. One of the main things I loved about the book was Watney’s continuous rants about Commander Lewis’s horrible choice in 70’s disco music, as it was the only thing he could listen to. Therefore, I thoroughly appreciated the choice to keep that as a thread throughout the film. 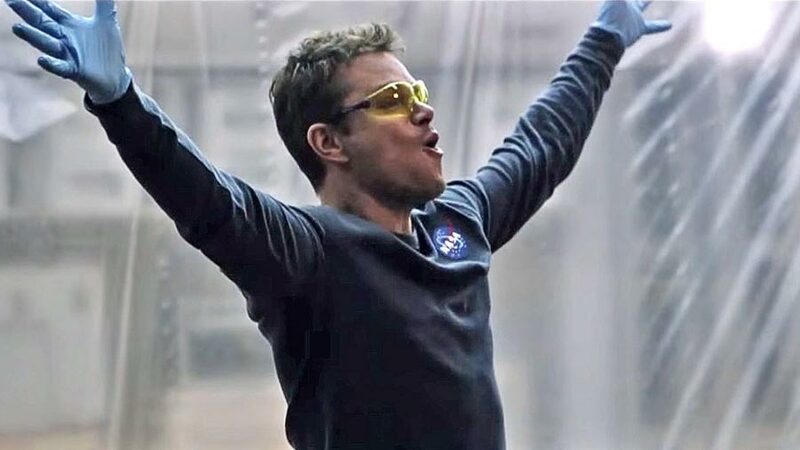 Also, one of my favourite scenes of the film was when Matt Damon had a mini dance party to “Hot Stuff” in the rover. The visual elements of the Hermes, Hab, Mars landscape, NASA control room, and equipment were all extremely well done. Also, the special FX used to make Matt Damon look so malnourished was highly impressive, as it was heart-breaking to watch the change in his body throughout the film. When the airlock exploded, Watney had to not only think fast but also continue to force himself to want to survive. His quick thinking and desire to live pushed me to read faster, as I wanted to ensure that he would survive in the end. Watney was supposed to lose communication with NASA after a crucial mistake when trying to reformat the rover. This was a key element because it once again disconnected Watney from the outside world. However, I understand the choice in the film to keep Earth and the Ares III crew involved. I loved that Watney wrote messages on his food packets, and one of them in particular was “should have killed me”. When rover flipped in the book he ended up eating it, but I appreciate that we saw him eat the “Last Day on Mars” packet in the film! In the film, Watney pulled off an “Iron Man” maneuver that allowed him to reach the just out of reach Commander Lewis in order to successfully make it on board the Hermes. Once Watney makes it on-board the Hermes Andy Weir chooses to end the book after a quote (see below) that emphasizes that Watney’s survival was dependent upon humanity’s fundamental desire to help others facing the aftermath of disaster. 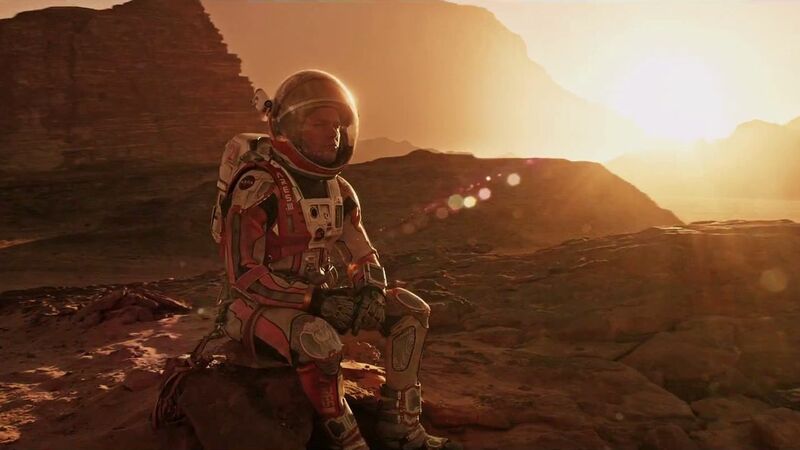 However, in the film the writers decided to have Watney start “Day 1” of his new life as a NASA Survival Instructor, where he had his first class of training new astronaut candidates using his experiences on Mars. Personally, I loved both endings because they showed how one man could go through so much suffering, but still have such a positive and compelling perspective on life. 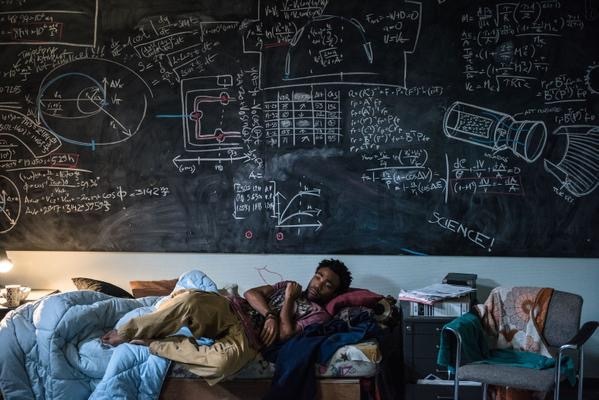 BONUS: For those of you who have seen the film and loved Donald Glover’s performance as Rich Purnell as much as me, you will appreciate the video I have added as this post’s bonus feature. Click the link below to re-watch the “Checks Out” clip where Purnell hilariously describes the maneuver that ends up saving Watney’s life. Emily another wonderful review. Having not read the book, it was enlightening to read your book to film notations.